WildStar‘s update 1.7.1 update may have just gone live but it looks like players are not going to have to wait long at all to get some time with 1.7.2. 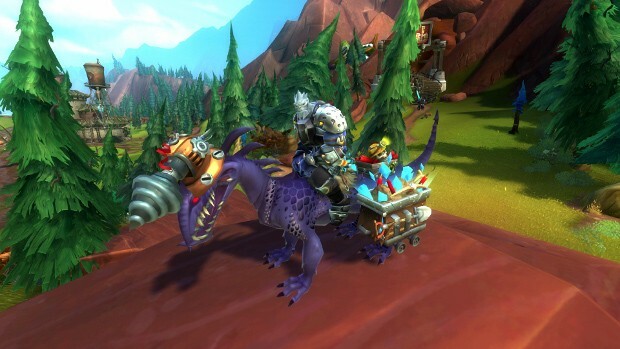 In a blog post published on the WildStar forums yesterday, Community Manager Conguero announced that 1.7.2 is already live on the PTR and outlined what players can expect from it. The new update will introduce Prime difficulty raids, beginning with Y-83 Level 1. This appears to be the primary focus of the update and will offer raid groups who have completed Redmoon Terror a bigger challenge. Since the raid is currently available only on the PTR, Carbine plans on setting up a schedule for the raids. With that in mind, they’re asking that players post their preferred times in the forum thread detailing the update. Please just go and finish school. i was not expecting the game to be so much active and fun, everyone telling me it’s dead but i’m playing right now and it’s freaking full of content and players..